Hear from the producers, directors and actors of FOX8's explosive new drama, Dangerous. Get behind the scenes and on location with the creators of this groundbreaking series. 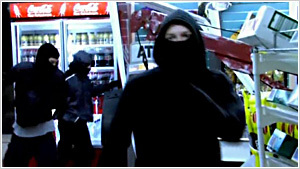 Dean and the gang plan their riskiest ram-raid yet—striking a loaded ATM just metres from a police station. Donna faces a major obstruction with her research—Mark Field he's head of the gang squad and intent on making her job as difficult as possible. When Donna observes Dean in a police interrogation, she realises he's the person she should be tracking. She manages to meet his gang through the world of street racing but get's more than she counted for when she finds herself involved in Dean latest job. Crime boss Craig Lukevic closes in on the gang, striking out at EC. 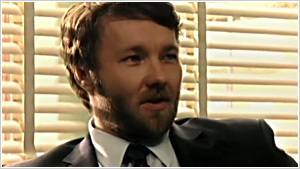 Dean tries to make amaends, but Craig recruits him for a job, grooming Dean to take a place in his crime empire. Donna takes part in in a high-risk ram-raid. Craig gives the gang a simple job, steal a truck—but the stakes change dramatically when they discover a dead body in the back. 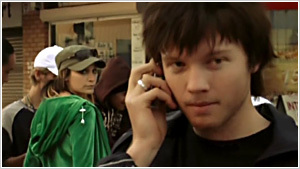 Donna is unnerved when Mark plays her security footage of the ram-raid she participated in. Anger over EC's death quickly spreads throughout the community, erupting into a riot. Donna realises that the Minister's office is spinning the situation for political benefit. Dean stays with Donna in her eastern suburbs world, both of them wondering if their relationship could have a future. Their time together is halted when Craig issues Dean a brutal new directive to kill a man. When Dean finds out that he has been contracted to kill Mark Field, he and Donna arrange to run away together. With their plans thwarted, Dean realises that he must go through with the killing and Donna races to intervene. Dean is seriously wounded but knows that if he goes to a hospital he'll be arrested and charged with Mark Field's murder. When he is finally apprehended, Donna tries to use her political connections to engineer a deal.